Bruce Chatwin-author of In Patagonia-ventures into the desolate land of Outback Australia to learn the meaning of the Aborginals' ancient -Dreaming-tracks.- Along these timeless paths, amongst the fortune hunters and redneck Australians, racist policemen and mysterious Aboriginal holy men, he discovers a wondrous vision of man's place in the world. The late Bruce Chatwin carved out a literary career as unique as any writer's in this century: his books included In Patagonia, a fabulist travel narrative, The Viceroy of Ouidah, a mock-historical tale of a Brazilian slave-trader in 19th century Africa, and The Songlines, his beautiful, elegiac, comic account of following the invisible pathways traced by the Australian aborigines. Chatwin was nothing if not erudite, and the vast, eclectic body of literature that underlies this tale of trekking across the outback gives it a resonance found in few other recent travel books. 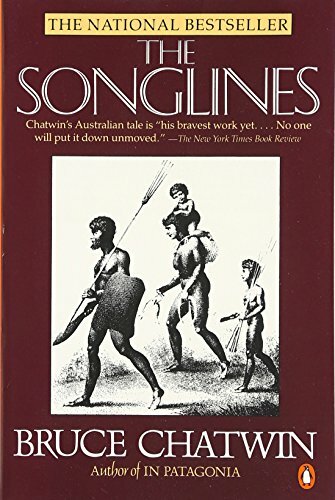 A poignancy, as well, since Chatwin's untimely death made The Songlines one of his last books.